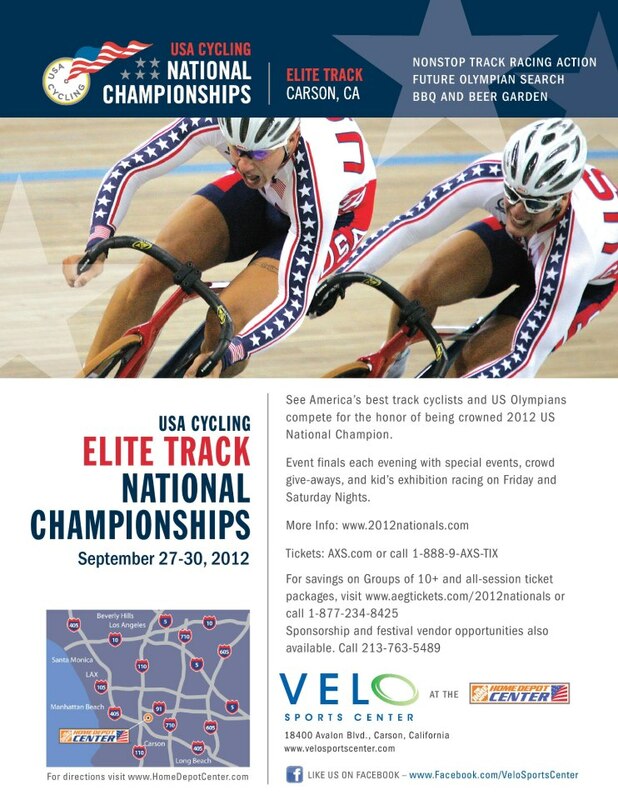 USA Cycling National Championships Elite Track Cycling in Carson, CA. From Sept 27 thru 30, 2012. Come down for nonstop track racing action and the future Olympian search. BBQ and Beer!